Eating at someone else’s home when you’re on a low-fat, low-salt, low-sugar diet can be a bit excruciating. 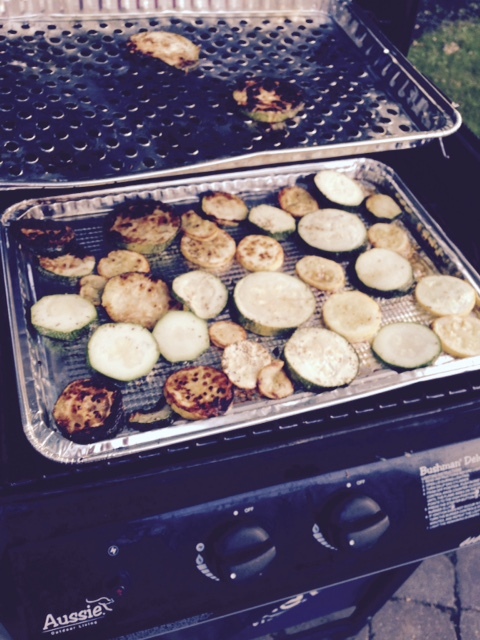 I’ve written about how I went hungry one July 4th at a cookout with traditional holiday fare, all of it high-fat, high-sodium. I actually dread being invited to friends now and prefer having them over to our house where I can control the menu. 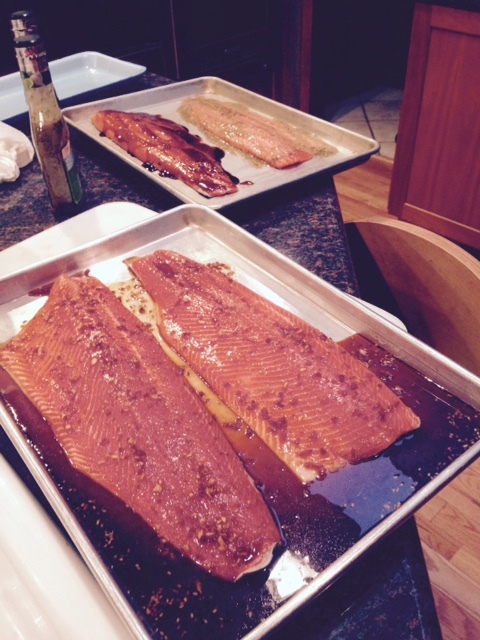 Our host allowed me to cook alongside him, so the back tray has salmon marinated with Mrs Dash salt-free marinades, the front with his home-made, high-salt marinade. Mllwaukee’s Public Market is a smaller version of Seattle’s famous Pike’s Market, offering a variety of local food vendors with a lovely upstairs seating area. It’s in the Third Ward, the former Italian section of Milwakee which has become a go-to place for restaurants these days. 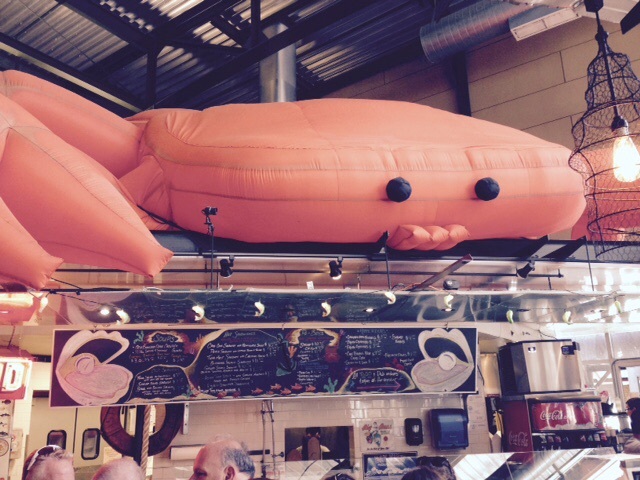 St. Paul Fish’s giant crab watches over you as you eat. We stopped for lunch at the St. Paul Fish Company which is in one corner of the market right inside the door. Even at lunchtime on a Sunday it was packed. 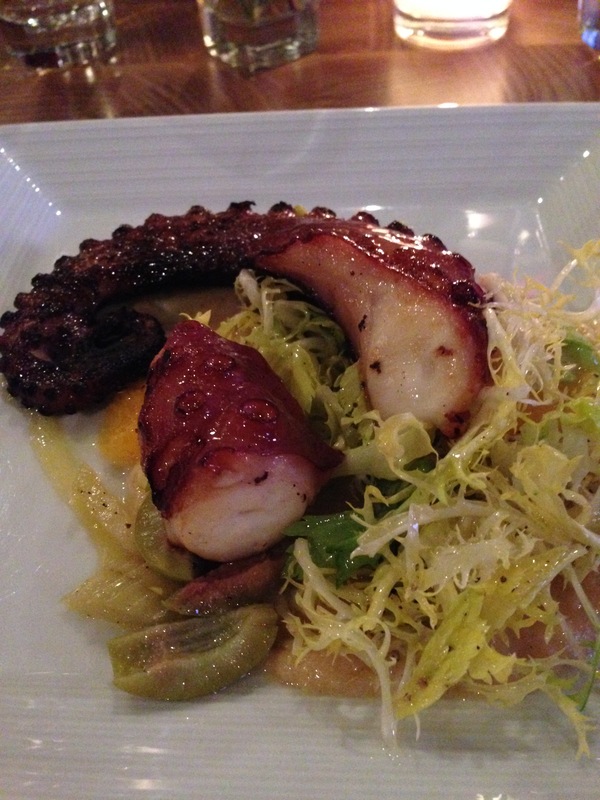 We had a short wait for a table, but the food was worth the wait. 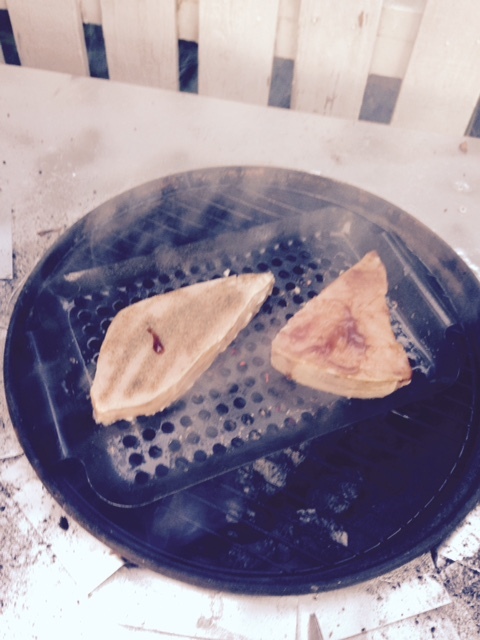 This has been grilling week on the blog, with posts about a guide to grilling fish and another about a grilled salad. 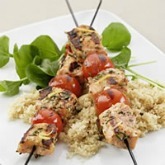 Here’s another fun idea for your 4th of July grilling weekend, rosemary salmon skewers with cherry tomatoes. Jillian Michaels’ grilled rosemary salmon skewers. This recipe comes from the website of former Biggest Loser trainer Jillian Michaels. I sometimes quibble with what she calls healthy eating, but this recipe looks good, once you omit the salt, that is. It’s not needed and will only add to your salt overload, I’d leave it out. 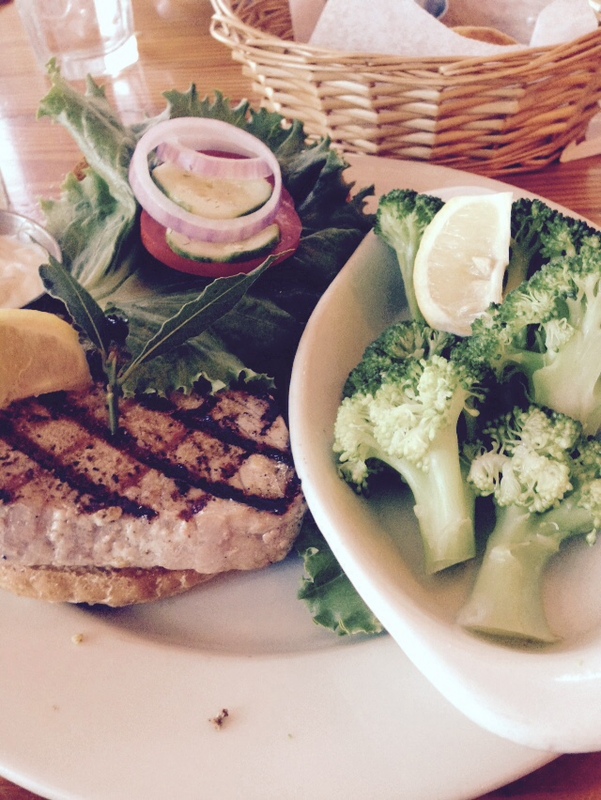 Grilling salmon has become a go-to summer dish for me. I’ve done other fish on my outdoor grill, and hope to try grilling clams this summer, but salmon is king of the grill for me. That said though, I’m always open to new grilling ideas. 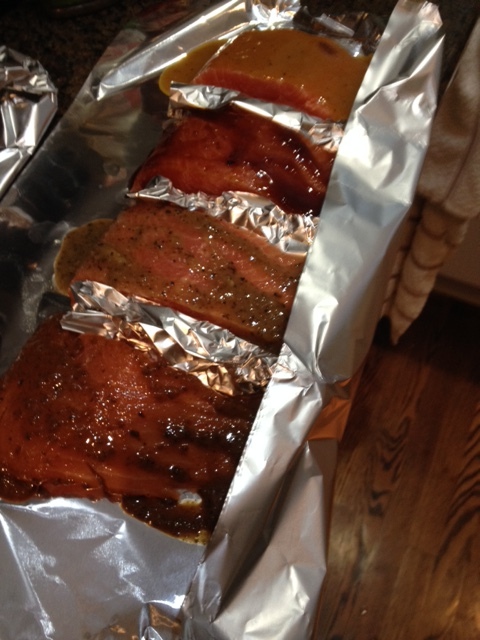 Grilling salmon is a luscious experience .with aluminum foil. Then rub in marinades for each. Bon Appetit magazine often has very complex recipes that give me a headache. But this one it posted recently for grilled clams is as simple as it gets. Grilling clams and mussels, I can’t wait. Simply put the clams on a grill until they pop open, about 3-5 minutes, and they’re done! The only person to leave a comment for this post joked about it not really being a recipe at all, which of course it’s not, it’s just a prep suggestions. But I like the idea and plan to try it. I’m thinking instead of putting them directly on the grill, I’ll put them in a shallow baking dish with some white wine for flavoring. Perhaps I’ll mix in some Italian spices as well. Clams are a favorite of mine and these days we supposedly don’t need to worry about the cholesterol in shell fish anymore. Bon Appetit does have an accompanying recipe for Grilled Clams With Aleppo Pepper, Tumeric, And Lime Butter. Rather than butter, I would try some lime or lemon-infused olive oil to substitute a good fat for a bad one. 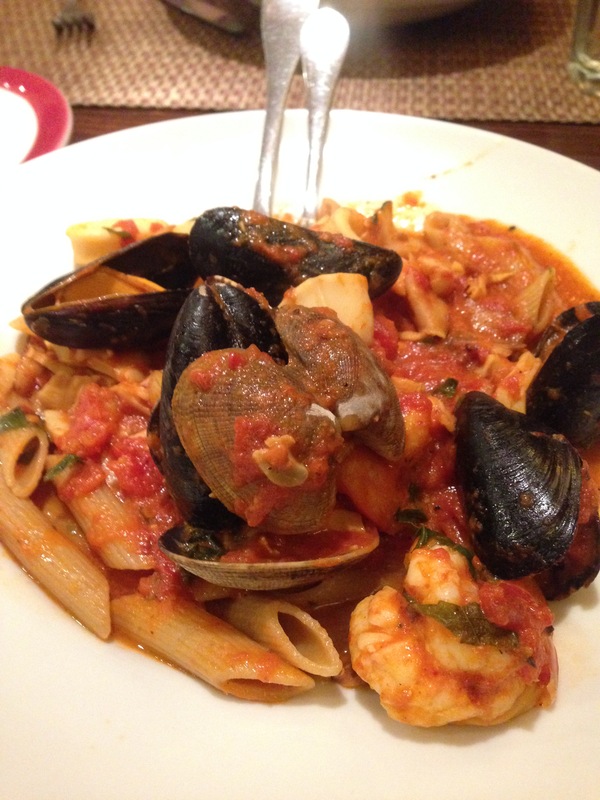 If you have other clam recipes, let me know.